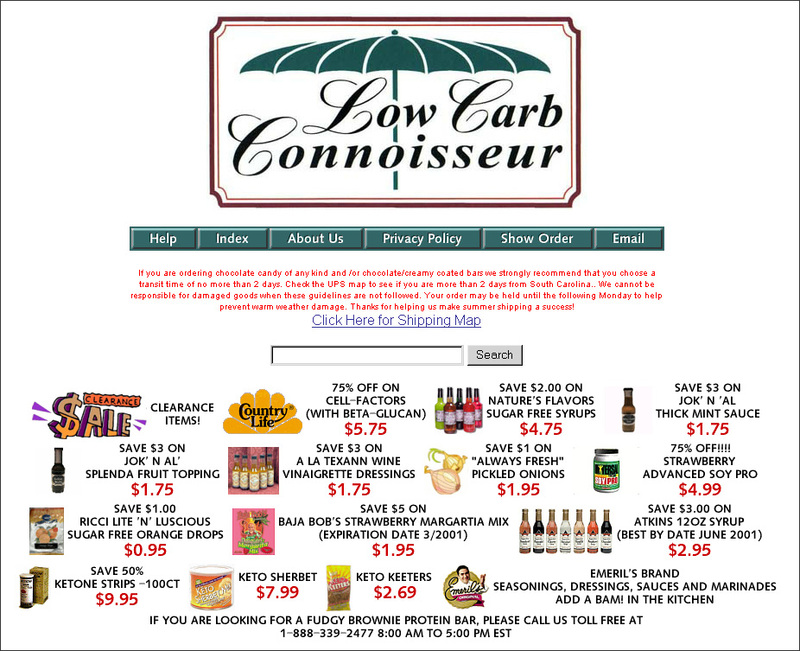 With shopping available both online and in a retail store in Anderson, South Carolina, The Low Carb Connoisseur Cafe and Market offers a one-stop shopping experience for low carb, sugar free, and gluten free specialty foods. Creating a Yahoo-based store for them that didn't look like a Yahoo store was an interesting and challenging project for us. Each graphic is created to individually reflect this business' focus and theme and each page is given the dual task of offering support for the buyer while sending a coherent sales message. 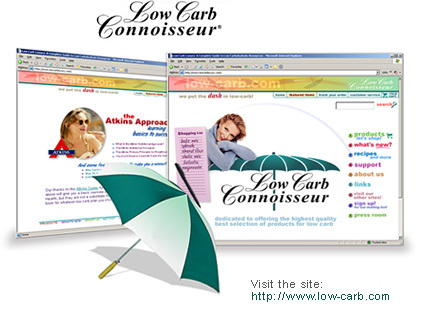 Here's a shot of the original Low Carb Connoisseur website for old times' sake.